PetrWrap ransomware is a new dangerous file encrypting program that works like Petya Ransomware but doesn’t perform every function of its parent application. But like other Ransomware programs, it also encrypts users’ crucial files and then extorts money out of them. Its developers don’t share the ransom amount with main virus creators and keep all the money to themselves. Unlike most Ransomware, it doesn’t attach any extension to the locked files but makes them unable to open. Users fail to open the infected files because they are inaccessible. After encrypting the targeted data, it creates a ransom note and drops it to the desktop in which PetrWrap ransomware developers notifies you about the situation and states that there is only one way to retrieve the files back. You will have to pay a ransom amount of approx. $500 first, after that they will provide you a decryption code that is the only tool which can unlock the encrypted data. PetrWrap ransomware also shows threatening messages asking to pay the ransom quickly or else the decryption key will be deleted, as a result it will be impossible for you to retrieve the data again, but we suggest you to not pay the ransom. It has been seen that crooks often start ignoring the victims once the payment is submitted. They will be disappeared after taking the amount and cause you to lose the money. Dealing with the hackers is not the wisest thing to do in that state; it is surely waste of time and money. There is absolutely no assurance that PetrWrap ransomware developers will provide you the necessary key after the payment is made, that leads you to lose both files as well as money. Moreover this Ransomware has been developed with only one motive that is to make revenue illegally. Giving ransom to the hackers will motivate them and they will surely drop more infections inside the computer for further revenue. The best thing that you should do is to remove PetrWrap ransomware completely from system as early as possible. As much time it spends into the PC, it keeps messing up important files and ruining the machine badly. So take an immediate action and get rid of this infection without wasting any time. It often enters the computer through spam email attachments, so you are advised to not open any suspicious mail came from unknown source. 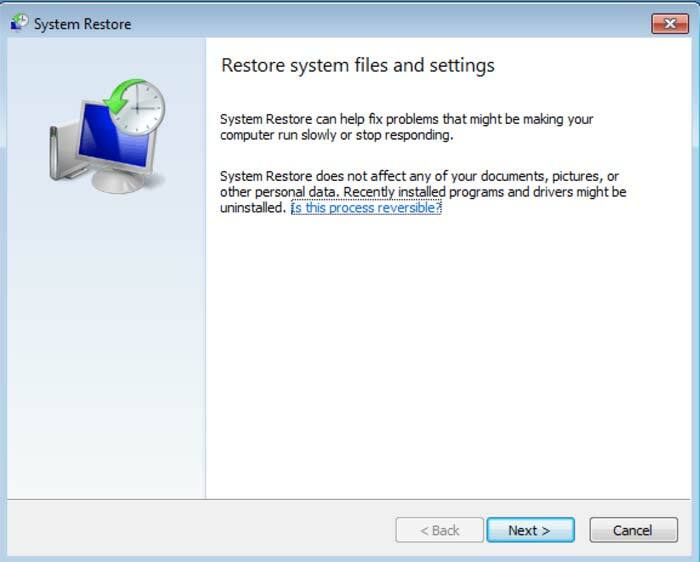 Follow the effective removal guide below that will help you to delete the malware from computer. PetrWrap ransomware should not be there in your PC and if it is there then you must uninstall it as early as possible. It is recommended to use a strong and powerful anti-malware tool and do complete scanning of your System. In some cases, the file encrypting malware are very powerful and they may restrict you for installing the security tool and scan the System for malware search. 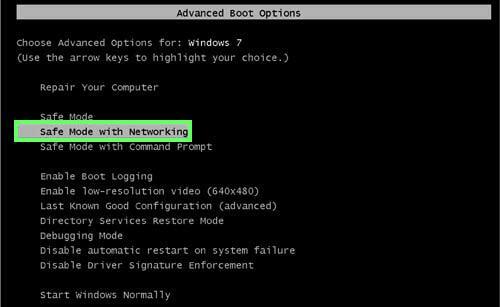 If the malware prevents you from installing the anti-malware tool, follow these steps to reboot your PC to Safe Mode or using System restores option. Step 1. First of all, reboot your PC in Safe Mode option. 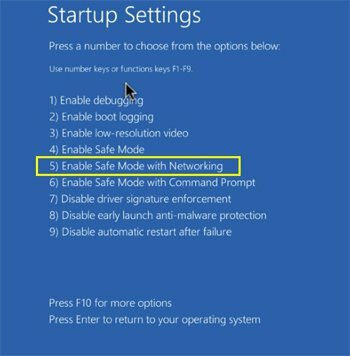 Now your PC is booted with “Safe Mode with Networking” option. Just login to your PC account and open the browser. Download a powerful anti—malware tool. We suggest downloading Spyware but you can also try some other legitimate applications as well. Run a full System scan for removing all the suspicious files, entries and items that belong to PetrWrap ransomware and complete the removal process. 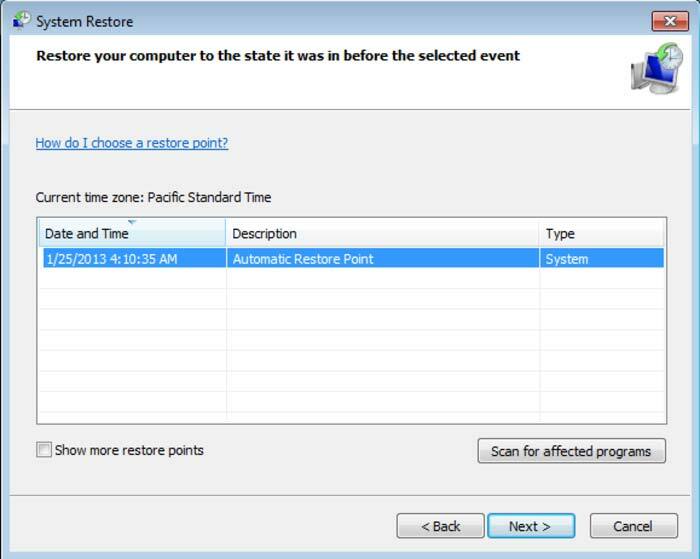 For any reasons, if you are unable to start your PC in Safe Mode with Networking, you can try performing System Restore. During the PC startup process, continuously press on F8 button until Windows Advanced Menu Option appears on the screen. 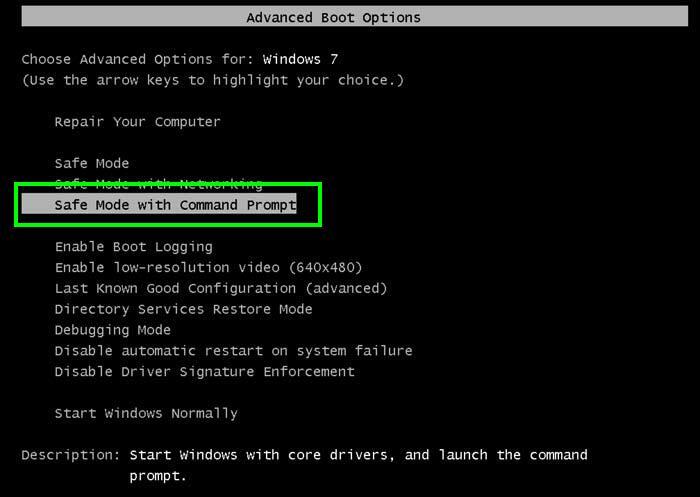 Select “Safe Mode with Command Prompt” option and press ENTER. In the opened Window, Click “Yes”. Once your PC gets restored to its previous data, download and scan your PC with a powerful anti-malware tool to delete all the related files and items of PetrWrap ransomware. It is very important to remove PetrWrap ransomware so that it doesn’t encrypt other files and data. 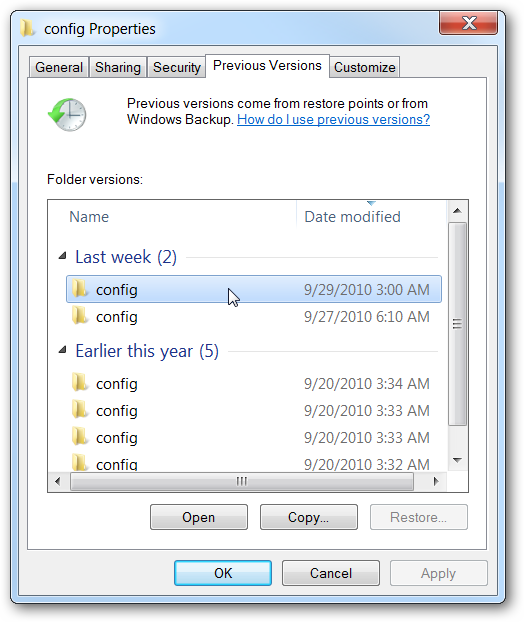 Once you have enabled System Restore Function in the OS, you can restore individual files encrypted by the ransom with using “Windows Previous Version” feature. Remember that this feature will only work if the ransomware has not deleted the “Shadow Volume Copies” of the files. In order to Protected your PC form file-encrypting malware, It is important that you work-station must contain a powerful anti-malware tool. If you have a proper anti-malware and firewall settings in your work-station then these ransomware will get their entry in your PC. The protection of your PC should always be your first priority. Although the removal method through manual instructions are effective and proven to provide the best results, still some of the victimized users may fail to get the results as per their desire. This can happen due to lack of technical consent to access most of the administrative utilities as used in above guidelines. If you also got stuck through the instructions or seeking the safest method which needs not any high end manual steps, then opting an automatic solution could be the best solution. You just need to do a few instructions taken in practice to install and scan the system deeply that will fix all issues and remove PetrWrap ransomware completely. The required steps to do so is all here mentioned.